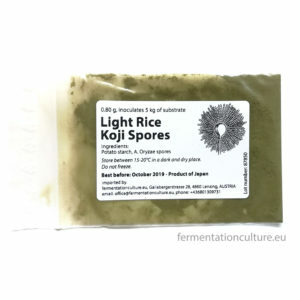 This is a strain of Koji specifically bred to avoid overheating. The other strain for soy sauce offered in this shop is very vigorous, and it can easily happen that it overheats. 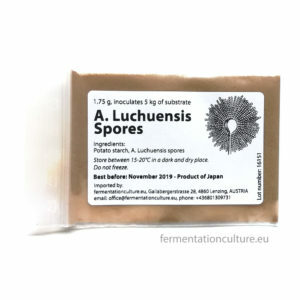 This strain is not as vigorous, which also means that it easier to control the temperature. 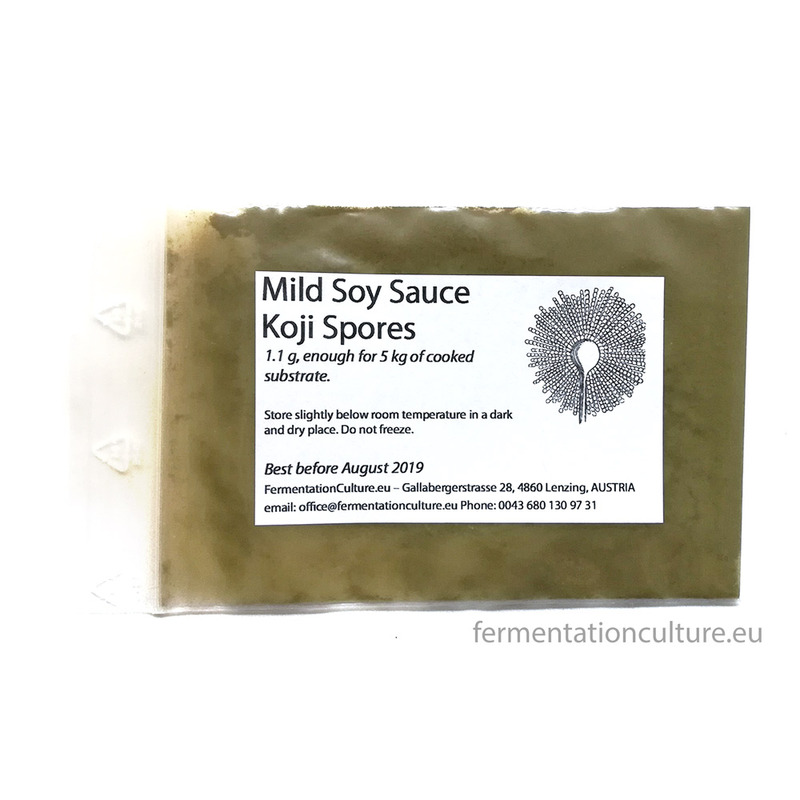 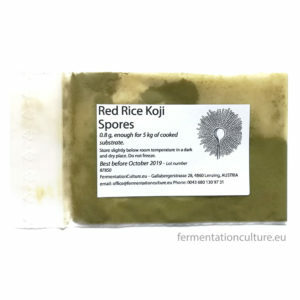 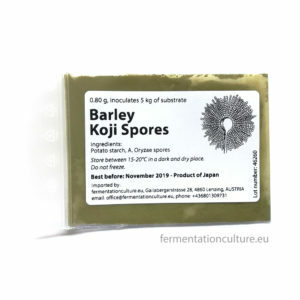 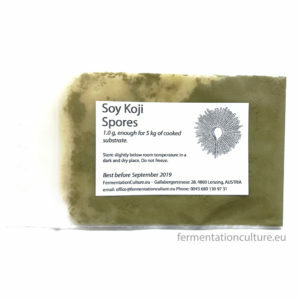 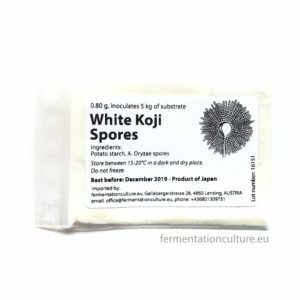 The problem with overheating is that the Koji won’t produce as many proteases, and it will go to spore easily. 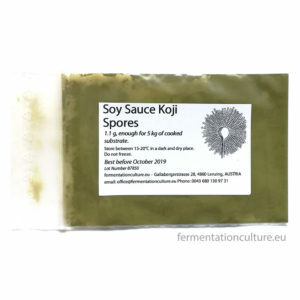 So if you just starting out making Koji and soy sauce, I recommend this strain. 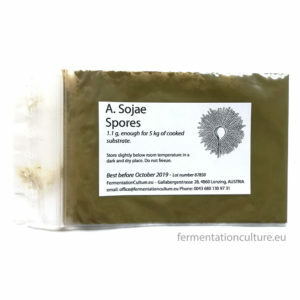 One bag contains 1.1 g of spores, enough for 5 kg of substrate.